During the late 50s and early 60s, Norman Petty and his small NorVaJak recording studio were riding the wave of success. What is amazing is the fact that Petty's studio was located in Clovis, New Mexico - not exactly New York or Los Angeles! 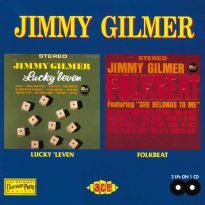 Jimmy Gilmer & The Fireballs were one of Petty's more successful recording artists AND one of the very few groups in rock'n'roll history to chart both instrumental and vocal hits onto the Billboard Top 100. Jimmy Gilmer and George Tomsco's Fireballs did not actually unite until 1960. 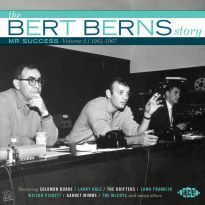 It was Petty's decision to eventually market the Fireballs to record companies as Jimmy Gilmer &The Fireballs, since he'd had previous success marketing the Crickets also as Buddy Holly & The Crickets. Prior to that, Gilmer had made several trips to Petty's studio from his hometown Amarillo, Texas, with musician friend, Gary Swafford, Jimmy's first single, released under his own name on Decca Records, failed to chart, but Norman Petty saw potential in Gilmer and encouraged him to come back and record. In August of 1958, George Tomsco and his group, the Fireballs, set up their recording session at Petty's studio. 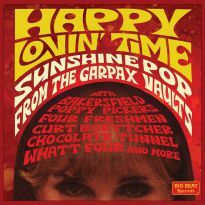 The band's first 45 was an instrumental on one side and a vocal on the other. As in the case of Jimmy Gilmer, Petty heard something special in Tomsco's band, too. 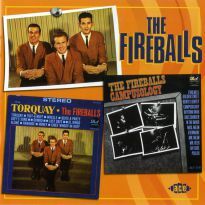 More Fireballs sessions were planned for April 1959. 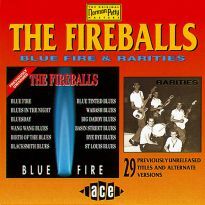 It was during their second session that the Fireballs first hit record would be recorded. The song...Torquay. 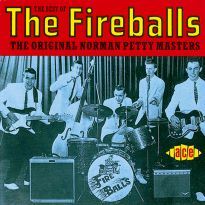 Norman Petty employed the Fireballs as session musicians for one of Gilmer's follow-up 45s on the Warwick label titled Good Good Lovin', and backed with Do You Think. 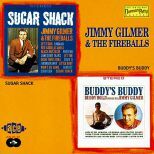 It was during these sessions that the foundation was laid for Jimmy Gilmer & the Fireballs. In August 1960, Chuck Tharp, the Fireballs' original lead singer and rhythm guitarist, decided to quit the band to pursue other interests. The stage was now set. Petty presented the idea to Tomsco about having Gilmer join the band. 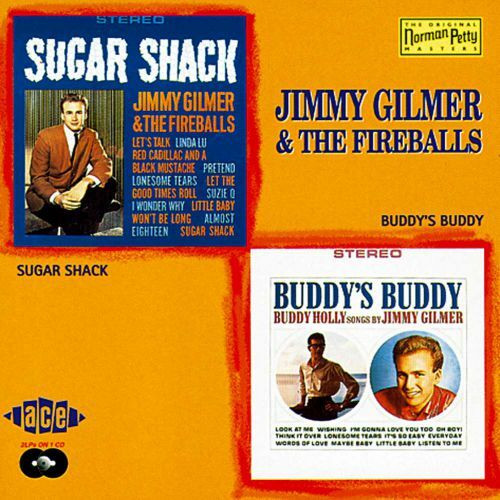 Within weeks, Jimmy Gilmer was playing rhythm guitar for the Fireballs and touring in Canada. 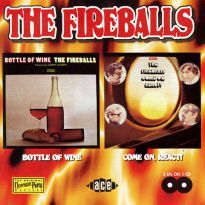 During 1960- 61, the Fireballs enjoyed moderate success with hit instrumentals on both Top Rank and Warwick Records. In 1962, Norman Petty signed the group to Randy Wood's Dot label. From that point on, Jimmy Gilmer, George Tomsco, Stan Lark and Doug Roberts would climb the ladder to stardom! 1963 was a banner year for the boys as their song, Sugar Shack, hit the top of the charts and stayed there for five weeks! Sugar Shack went on to become the biggest selling record of 1963 in the United States. 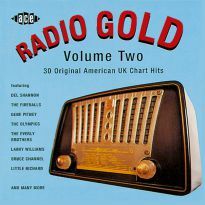 This Ace release features two albums on one CD. 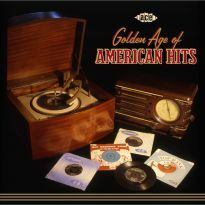 The first is the original SUGAR SHACK album as it was released in late 1963. All tracks are in the same running order as they were back then. 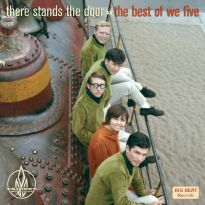 The second album featured here, Buddy's Buddy, was originally released in 1964. 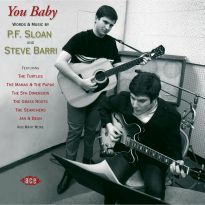 It is a cover album of Buddy Holly songs. 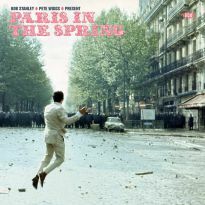 It was Petty's idea to have the boys record this material. 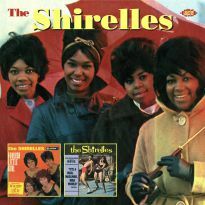 For whatever reason, the original album did not fare well in the marketplace, but is now the group's most sought-after release. 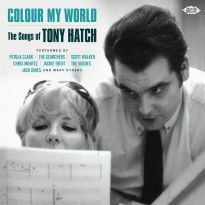 The best thing about this CD is the fact that it's produced from the original Norman Petty master tapes. You'll hear what a talented group they were and experience the expertise of Petty as a recording engineer.